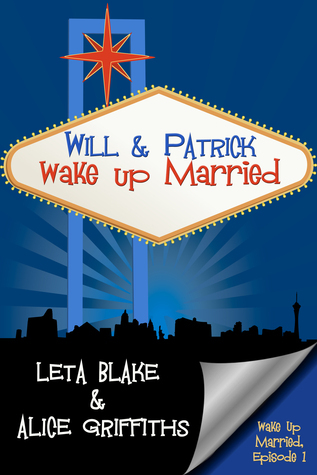 I received a copy of Will and Patrick Wake Up Married by Leta Blake and Alice Griffiths from the authors via IndiGo Marketing & Design in exchange for an honest review. I could not have received this book at a better time. I read it on 11/13 after learning about the tragedy in Paris, a city I love. This wonderfully humorous take on an old romance trope of winding up married unintentionally in Vegas was just what I needed to lift my spirits. I loved that the two MCs were both good looking but with serious character flaws. Will is an alcoholic with very low self-esteem and diabetes on top of all that. Patrick has no people skills (or so he says) but as a surgeon he does not believe he needs them. They are dynamite in bed, but as strangers who can’t get a quickie divorce, they must learn to live together. I devoured this story in one sitting and went on to enjoy the next two in the series as well. If you need an antidote to life’s travails, this is the story and series for you! Sign into Goodreads to see if any of your friends have read Will & Patrick Wake Up Married.